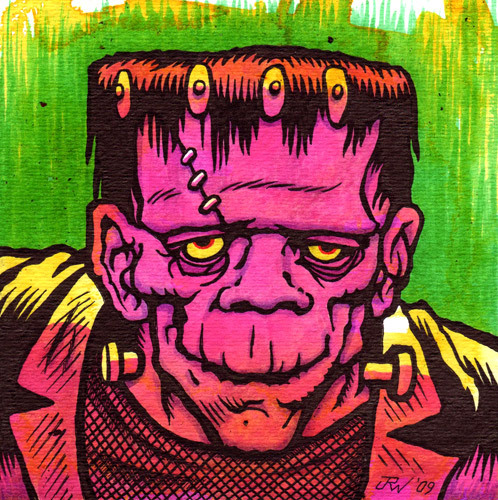 Based on the wrapper art for FRANKENSTEIN STICKERS bubble gum. I'm guessing that the original art was by the great Jack Davis. Acrylic & inks on 140 lb. archival watercolor paper, 5" x 5". I accept PayPal.